Successful people understand the value of personal development in their professional lives. They know that no one is really able to get ahead in the game of life if they won’t spend time, money and effort on personal development. Indeed, personal development is an investment that you should prioritize. With this, I am encouraging you to take a 30-day journey toward personal development. You can start from as simple as allotting 30 minutes of your time daily to read insightful books about personal development, business practices, business trends, exercising and any others that you think will impact your life big time! You can then move further to attending seminars, training, going to the gym, enrolling in school or events that will develop your leadership skills and hone your knowledge so you can always perform your best. Week one is all about developing important habits and establishing things that will serve as the framework for getting the most out of each day over the next month. Day 1: Leave last month behind (and commit to no expectations). Day 2: Set goals for the month (or reevaluate them if you already have). Day 3: Break those down into weekly goals and use a daily or weekly accountability system to track your progress. Day 4: List important assets you need to accomplish those goals. Chances are, you don’t have everything you need to accomplish your goals. Make a list and figure how you’ll acquire the assets you need to do that (such as skills, new contacts, resources, ect.). Day 5: Make a vision board. Even try building one on Instagram or Pinterest. I know Guys, I know. – but trust, It Works! Day 6: Start a journal. Day 7: Relax and Reflect (Free Day). Takeaway: Keep a journal and build vision board – thoughts matter. Week two is about the outward. It’s about optimizing your environment to maximize your focus and productivity. Day 8: Wake up thirty minutes earlier. Even if you don’t do anything with it, rising early makes you feel great and puts you in the right state of mind for the day ahead. Day 9: Design a morning routine. Take it one step further and design a morning routine that jumpstarts your day. Day 10: Adopt a nightly ritual. Like the morning routine, but this is all about optimizing your sleep and well-being by placing you in the right physical and mental state of being before retiring for the day. Day 11: Minimize or get rid of T.V. Try to reduce your T.V. consumption down to just a few hours a week. 2 to 2.5 hours a day would be good. Day 12: Do a smartphone/app cleaning. Chances are, you have a ton of apps (social media) you really don’t need or which distract you regularly but bring you little value. Day 13: Cleanse your social media networks/apps. Social is one of the biggest time sinks and a constant source of distractions. Reduce the number of sites you’re on, who you follow, and weed out the bad associations. Day 14: Relax and Reflect (Free Day). Takeaway: Let Go and Focus Forward. Week three is about the inner game of optimizing your performance to increase your creativity, performance, focus, and reduce stress. Day 15: Meditate for five minutes. Preferably, make this a daily habit. Day 16: Try a brain game. These are great for optimizing your cognitive functions. Day 17: Adopt a mindfulness practice. Day 18: Start exercising. It’s important you find a method that works for you so you’ll be excited to exercise and work out. Day 19: Start using the Pomodoro method while you work. Day 20: Create the habit of doing problem tasks first. There needs to be a sense of order and logic to how you work. This is the second step to optimizing that and it influences both your productivity and creativity. Day 21: Relax and Reflect (Free Day). Takeaway: Get a good night’s sleep with a pre-bedtime body-scan meditation. Week four is about growing your knowledge, skills, and other assets. Listing important assets you need to acquire to accomplish your goals for the month and year. Think about the kinds of things you need to learn, develop, and want to acquire. Day 22: Start reading. Depending on your profession or interest, this can be anything that brings you value. Day 23: Start listening to podcasts or audio books (even videos). Unlike books, which require your undivided attention, podcasts are great because you can take them on the go. Highly recommended! Day 24: Search for a mastermind or group of like individuals (Online and Offline). If you don’t already have a group of people you communicate with regularly that are in your profession or are at a similar professional level, start searching for a group or community. Day 25: Do one thing you’re afraid of. The ability to consistently step outside of your comfort zone is a skill that can and should be developed now as it will serve you in everything you do. Day 27: Reach out to one person that can move your life, over all (Soul, Mind and Body), forward. Day 28: Perform an act of kindness/ Prepare yourself to give (giveback). Most of us have lost touch with (or never knew) the power of helping others without expecting anything in return. This knowledge, and the understanding that you always have the ability to exercise it, doesn’t just make you happier and more fulfilled, it can serve your life (over all) in a big way. Such acts of kindness are the perfect way to start off a long and beautiful relationships and personal connections. Day 29: Relax and Reflect (Free Day). Day 30: Get a Buddy and help build up another and share your experiences. The most successful men and women in life have a mentor. So, “what is a mentor?”, you may wonder or ask. A mentor is an individual who trains, helps and sets examples for others. Your personal mentor may or may not be the mentor of other people. 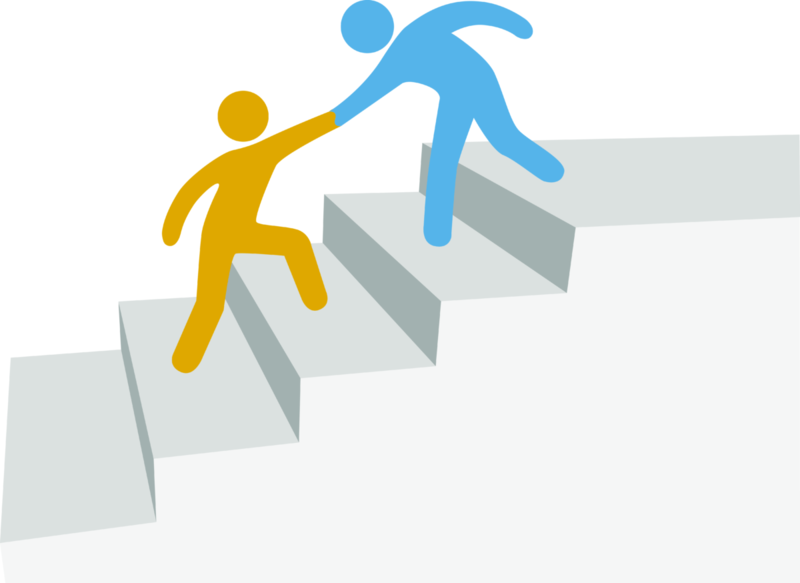 Mentoring refers to the process of helping other people realize their dreams and succeed in life. It gives you an extraordinary opportunity of facilitating the ideal professional growth through the sharing of knowledge that has been learned over the years through formal teaching and/or life experience. At this point you now know what a mentor is, but do you know the impact on your personal life and your business if you have a business mentor? Finding a mentor is indeed one of the untold secrets of business success. If, for example, you want to engage in an entrepreneurial venture, you should select a mentor that has been successful in that area and let them show you how to do it best. You will achieve success faster and realize all your dreams faster, if you find a great mentor. The mentor will help you overcome challenges and escape those business hurdles that are very common in the everyday life of most entrepreneurs. The mentor will guide you in such a way that you will not make the mistakes or fall into the traps which people face. If you are doing business over the Internet, most mentors will teach and train you to focus on attraction marketing and building your brand. With a mentor, people will be chasing and following to learn from you, not you chasing other people in order to learn from them; as you will have qualities that are admired and liked by most people. A mentor is also very important in saving you a lot of money while you are building your business. From the testimonies of most people, you can incur a lot of costs when you are at the early stages of establishing your business. You will incur a lot of these costs because you are the one who needs to figure out how to solve the problems of business and the challenges of the same. You can choose one or several mentors to help drive your business to success and prosperity. You should choose mentors who have a proven track record of accomplishment in business. In closing, find a mentor that will help you succeed in business and in life. There are various challenges in life and in business and these challenges need the advice and assistance of different mentors to overcome and solve them. There Is Success Through Mentorship! A blog is an informational site published in the World Wide Web containing posts in chronological order. The topics depend on the niche and the target audience of the blog owner. Creating a blog, reading a blog and posting comments on a blog are incredible Internet marketing strategies to date. Through a blog, people are able to share and get the information they need. For example, a business man sees having a blog as the most powerful marketing tool. He created a blog to build a business community where his visitors can leave comments on his published content. The frequent or occasional visitors of his blog become prospects. These people are then converted to paying customers. A blog, thus, is capable of generating you the leads that you desire. A blog is one of the less expensive methods and most powerful online tools for your company to be noticed by your target market. It is an avenue to share a company’s or an entrepreneur’s thought leadership or expertise. A blog increases brand awareness and credibility, which are crucial aspects of Internet marketing success. Anyone can create a personal blog to express his ideas and share his insights to people all over the world. He can write and post relevant topics that can put her in a terrific SEO ranking. His blog becomes the gateway for endless business opportunities especially if he consistently provides high-quality content. Remember, content is king, and it is what keeps visitors from coming back to your blog. According to blogging.org, there are about 31 million bloggers in the U.S. alone, might as well publish significant content. Don’t just own a blog but provide a worthwhile visitor experience. Create a blog to let people around the world find out about your business, company, products or services. Share your expertise and passion. Connect with your family, friends and everyone else around the world. Keep an interactive and engaging blog and discover how you can create money through your blog. Check out How to Blog your Way to Success to get started. LEARN How to Launch & Manage a Successful Blog in 2017. Four years ago I read an article, “Why Blogging is One of the Main Tools for Attraction Marketing”. 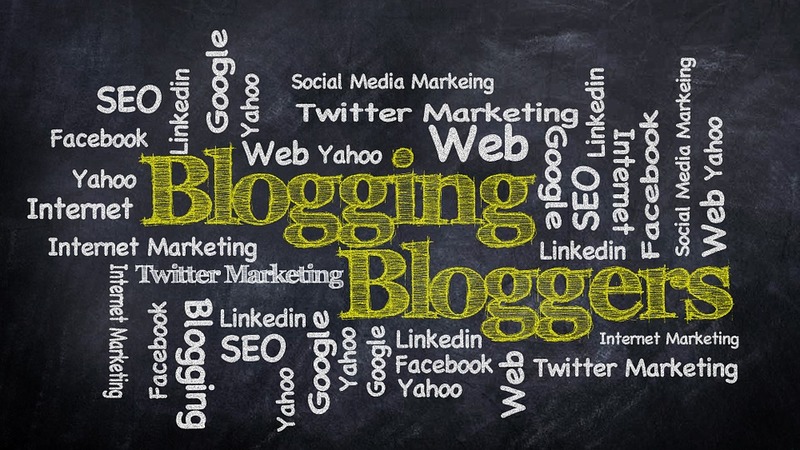 It stated [unequivocally] that blogging is one of the major pillars of internet marketing. I can’t argue. Blogging has done wonders for me in terms of branding, business and influence, just to name a few. And like my mentor, I strongly believe that a blog increases your chances of making money online through attraction marketing. As you embark to establish your presence online, you should realize that you need an audience that you will engage and turn into customers. Of course, you want to blog to your audience with a purpose. For this reason, blogging emerges as the easiest way of establishing an audience via attraction marketing. Blogging is the perfect channel for creating and making your presence known and felt online. Without a blog, you will find it difficult to reach out to prospects and engage them. If you don’t blog (similar to not having website) no one will know that you even exist. It may also take your prospects a long time to discover you when you don’t have a blog. 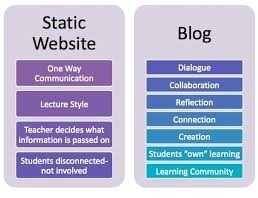 So, start a blog and you will simplify the process of establishing and engaging with your audience online. Attraction marketing thrives on the connections that you establish with customers and potential prospects. Unfortunately, many people think that they can connect with prospects without blogging. Let me settle this once and for all. Without a blog, you cannot attract prospects or build a mutually beneficial relationship with them. You need to connect with prospects and educate and in the process, you will turn them into customers. Also, when you blog regularly, then you stand a better chance of attracting more people to your business. There are hundreds of thousands of people surfing the web looking for leads or useful information and products. All these people need solutions, they need inspiration, and they need to connect with people that will transform their lives. If you read some of my earlier articles on attraction marketing, then you will realize blogging is an integral aspect of online marketing. Blogging brings out your personality, and reveals your true self. This is very critical in attraction marketing as it can make or break your marketing campaign. The reason is that people connect with people who have an inviting and admirable personality. Your style or writing, your tone, and your voice have the potential to draw people to you or drive them away. When done properly, blogging increases online lead generation and portrays you in good light among your peers, potential audiences and prospects. If you don’t blog, you will remain oblivious and even insignificant to the thousands of prospects and customers in your niche market. You can only become a niche leader when you use blogging to build your profile and establish yourself as a respectable figure in your niche. Once you become a niche leader, you will gain more influence through your words, opinions, and perspective. Customers and B2B marketers will not only admire and love you, but they will yearn to connect with you so that they can benefit from your knowledge and insight. Blogging is the easiest way of raising awareness about your business or brand. It can increase your reach and draw people outside your network to connect with you and even follow you. Remember, the information that you share through your blog does not only influence readers, but it also helps you promote your business and raise awareness about your brand through attraction marketing. Through blogging, people will know and understand your brand much better and be more receptive to your marketing and brand messages. Also, they will be eager to introduce others so that they too can experience the power and influence of your brand online. With such benefits, you have no excuse for not embracing attraction marketing via blogging. One of the key functions of a blog is to share your personal or professional experience or thoughts with your audience. Indeed, your blog acts as a window through which your audiences see your thoughts and perspective on industry-related issues. Most importantly, blogging also serves as a channel through which you can share your expertise with your audience or prospects. When you blog and share your expertise, you give your audience reason to follow and subscribe to your blog. The good thing about blogging is that it can serve any industry pretty well. It doesn’t matter whether you are in the retail sector, education, personal training, or health and fitness, or finance, blogging bring out the best in you for the benefit of your audience and prospects. Finally, blogging draws people to join your social network. Generally, people will not be interested enough to engage with you unless you have some influence online or a likeable personality. It’s your blogging finesse, your mindset, your approach to industry issues, and your professional demeanor that will drive people to engage with you in Twitter or Facebook. As people notice you online, they will share links to your blog or articles and create buzz about what you do and say. This will elevate your status and the power of your content marketing campaigns. Ultimately, you will find yourself spending much less on online marketing as your networking marketing circle grows to match your influence. No matter how you want to look at it, I can confidently say it pays off to use blogging as a tool for attraction marketing. Blogging has the potential to endear you to an audience and increase your influence and authority online. It not only reveals your personality, but it also increases awareness about your brand or business. Have You Got Your Blogging Basics Down? Start blogging and build your brand and make attraction marketing apart of your marketing strategy today!